Description: Beautiful high end one tier fingertip lenght cut edge with scattered crystal. Royal Collection - NEW!! 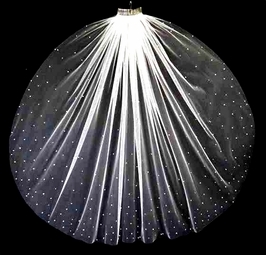 Queenmary crystal edge veil - SALE!! 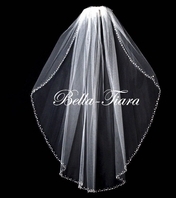 McKenna - Stunning Crystal beaded edge Wedding Veil - Amazing price! !